Hosting an event that is open to the public? We require our staff on site to supervise the amusement use. You may still be required to provide operators for each amusement. Not required for backyard or private events as we will train you to attend to the amusement. 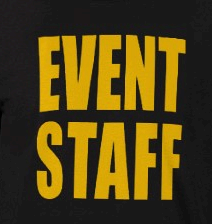 Our on site staff is also used for concessions operators or tent site supervisors for larger events.